Tag Archive | "archos 70"
The price of the Galaxy Tab is gradually coming down but it’s clear that it will never reach the 250 Euro price of the Archos 70. It looks the same, comes with 8GB of storage, a similar processor, similar operating system and plays back video just like the Tab. So what’s the difference? Balazs of Ndevil unboxes the Archos 70 in the video below and Charbax has a text/video review up. You’ll hear them talk about some of the very important differences between this and the Galaxy Tab but lets list them all here so you can compare. Full specs for the Archos 70 here. 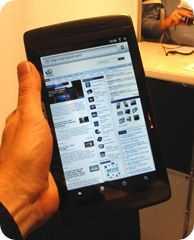 Galaxy Tab here. So how’s this 7 inch space shaping up for you? 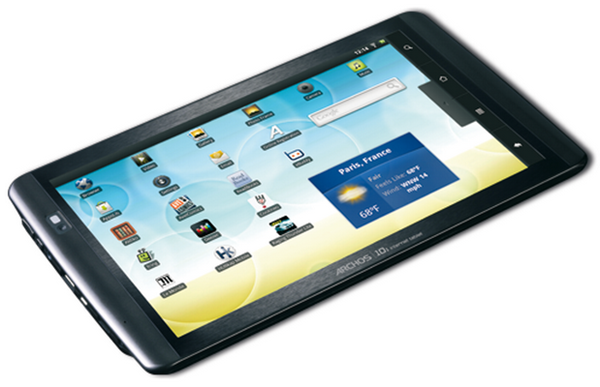 5 New Archos Tablets – Sorry, No Google Apps. It’s just so depressing to see this. 2nd generation Android tablets coming out from Archos that still don’t have Google apps included. No contacts sync. No Gmail. No Buzz. No Maps. No Latitude. No Market. Again – No Google Market! I hate to start on such a low note but really, haven’t we all learned that an Android device without Google apps is only half an Android product? Moving on to the details then. We have two sub 4 inch devices that we’re not covering here, a 4.3 inch device (Archos 43) with a resistive (cough) screen that will ‘eventually’ replace the Archos 5 (according to Engadget â€“ this will also upset the patient Archos 5 owners that are wanting 2.x upgrades) , a 7 inch tablet (Archos 70) with a capacitive screenâ€¦wait for itâ€¦ at 800×480 resolution and a 10 inch device (Archos 101) with a 420 gram, 1024×600 capacitive screen. It’s the 10 inch device that appears to have the right ingredients. At 420gm that’s ebook-light and if Archos are including their video playback skills (we assume they are due to the HDMI-out) then you’ve got yourself a flexible friend there assuming you can handle a bit of sideloading. There’s a ton of specs on the Archos UK site and they include Android 2.2, a 1Ghz CPU and multitouch on the capacitive screens. Unfortunately, I don’t see any mention of 3G. Archos 43 Specifications – $199 â€“ Mid October – More info, specs and comparison in our database. Archos 70 Specifications. – $274 â€“ Mid October- More info, specs and comparison in our database. 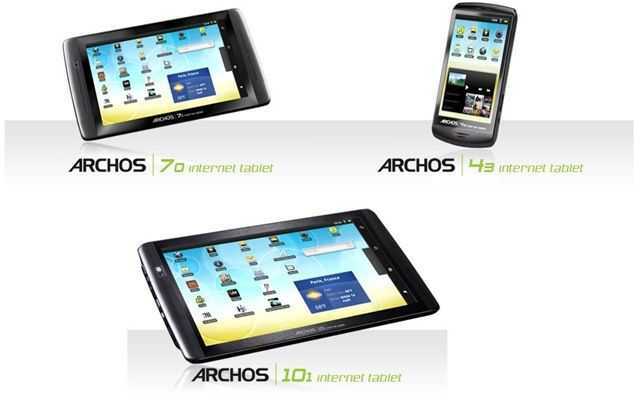 Archos 101 Specifications – $300 â€“ Mid October – More info, specs and comparison in our database. Should we discuss below? We’ll get the specs in the DB as soon as we can. Info via Engadget who have a hands-on report.